Sam Burch Architect focuses on creating private residences as thoughtful places of respite. While we believe architecture should be beautiful, our fundamental approach to each project is driven by the desire to imbue soul and life into a home, a home that is a refuge, a place to unwind and feel safe and comfortable. We achieve this goal by working intimately with each client, discovering their personalities and patterns of living. Ultimately, it is the individual client that inspires the end result. We eschew any one particular style, instead searching for substance and meaning in the subtleties of each opportunity. Prior to founding Sam Burch Architect, Sam began his career at the esteemed firm of Richard Meier & Partners Architects in New York City. Afterward, he spent nearly a decade at Shiflet Group Architects, where he gained invaluable experience designing homes for some of Austin’s most notable clients. 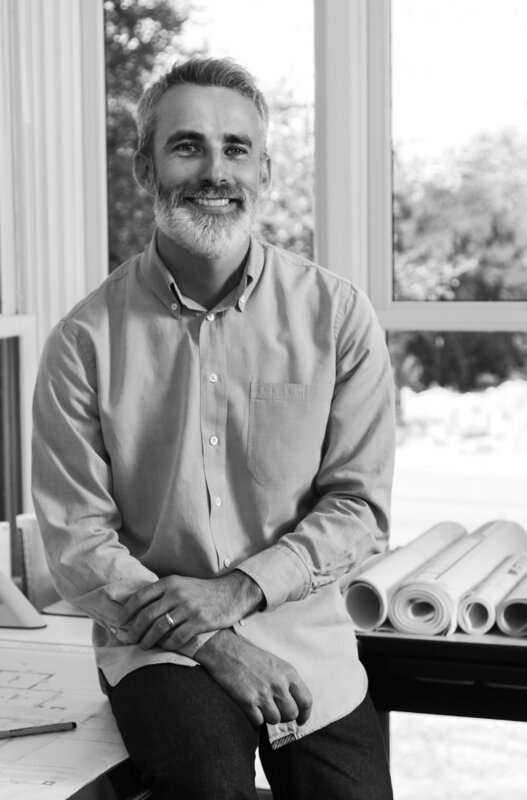 His passion for design is inspired by those around him, and he has been fortunate to work with some of the most talented designers, contractors, artisans and consultants Austin has to offer.